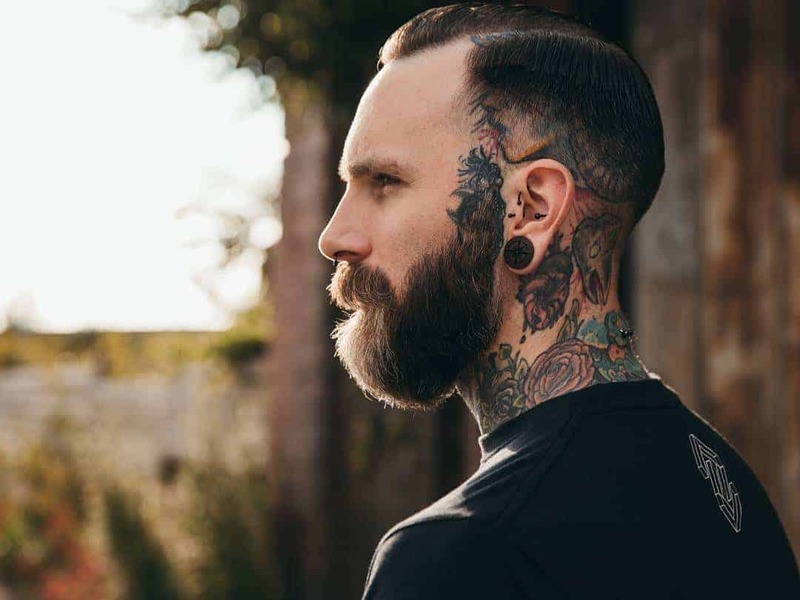 Many guys want to know what the coolest, trendiest haircut they can wear is. They ask around and they look at men’s magazines to see what’s hot and what’s not. That’s all fine, however, they ignore on a few factors that are absolutely crucial when choosing the right haircut. Sure, that new haircut Zac Efron is wearing looks hot… on him. This does not guarantee it will look hot on you too. Celebrities usually have a few hairstylists orbiting around them, trying to figure out how to make them look amazing. These experts know one secret that, from now on, is in your hands as well. …the shape of your face. A haircut is not something to look at in isolation. It needs to be put in a context which is… your head. Depending on the roundness of your cheeks, the size of your ears or how long your actual face is, a haircut can look amazing or it can make you look downright ugly. By now you’re probably asking yourself: this sounds too complicated… I’ll just go to a hair stylist and ask his opinion. You should go to a hair stylist. In fact, I recommend it. The can and will recommend you a great looking haircut based on your facial shape. The only thing is.. it may not be the one you like. That’s why I urge you to take some time and identify your facial shape, then look for haircuts that might look good on you. Only then you should go to a stylist and ask his opinion. There are five basic facial shapes. Some stylists will tell you there are four, some will say there are eight. Let’s stick to five to keep things simple. Just look at each of them and try to determine the one that’s closest to your face. Use a mirror if necessary. I’ve put this one up first because this is where I fit. For many years I though the best hairstyle is very short. A hairstylist encouraged me to try something new so I did… with amazing results. As you can see, both hairstyles help tremendously in making the entire face look longer. OK, let’s move on to the next one. The best piece of advice I can give you if you have a square face is… don’t try to hide it. When someone says triangular face, they need to look no further than Justin Timberlake. He’s always trying on new haircuts so you’ll have lots if inspiration. If you have a triangular face, your forehead is visibly wider than your jaw, so you need to balance things out a little. So don’t wear bangs or leave your hair too wide to the sides, it will only make your forehead look even wider. If this is you, you probably had a hard time finding a haircut… until now. Just look at what Johnny Depp is doing and try to do the same. Your forehead is not very wide so you want to do something about that. There you have it – all facial shapes and some of the best haircuts for each of them. Now that you know your facial shape, all you have to do is find as many haircuts that look good on it. Just find men (celebrities preferably) who have the same facial shape as your and start monitoring them. Once you gather pictures, go ahead and print them to take them to your stylist. Don’t try a haircut on your own. Always ask for a second opinion from an expert. George is very passionate about men’s clothing style. On his blog he writes about everything related to clothing, color matching, accessories and haircuts. How do we determine our face shape? Hi, I have a round face too. And it'd be more helpful if you could show us some more hairstyles for round faces. I hope you'll do that in your next post. can u tell which hair style will shoot on me…? How to determine face shape, if you were wondering. i m not getting my hairstyle so suggest me a hairstyle and if u wnt my pic dan tell me and suggest me by sending me a hairstyle picture…..and reply me fast.